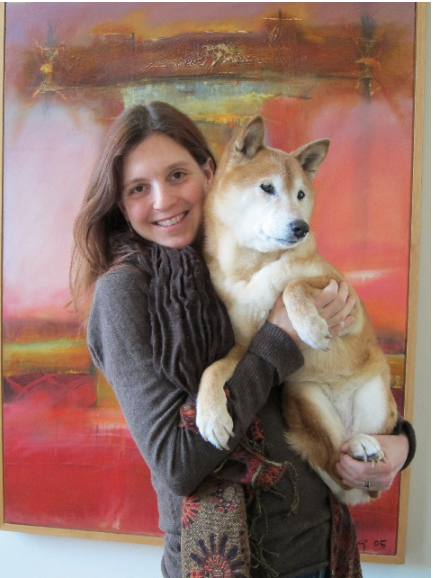 Author Jennifer Holland and her dog Tai. Jennifer Holland, senior writer for National Geographic magazine, talks about her new book, Unlikely Friendships. She tells “The WildLife” host Laurel Neme heartwarming tales of animals who bond in the most unexpected ways. While many of these interspecies relationships provide comfort, that’s not always the case. For instance, you’ll hear about a troublesome pygmy goat who teaches his friend, a pet hippo to escape their enclosure. Other times the stories are of predators who become friends with their prey—like the lionness who mothered a series of oryx, or the leopard in India who would slip into a village every night to sleep with a calf.